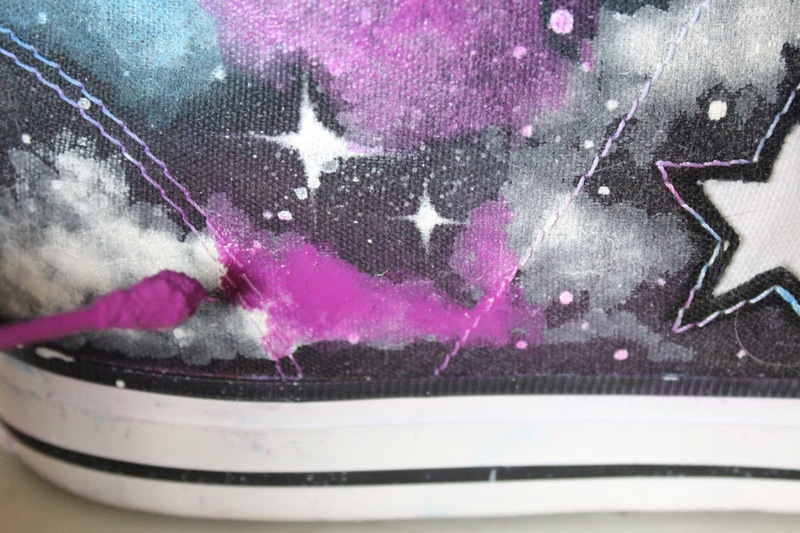 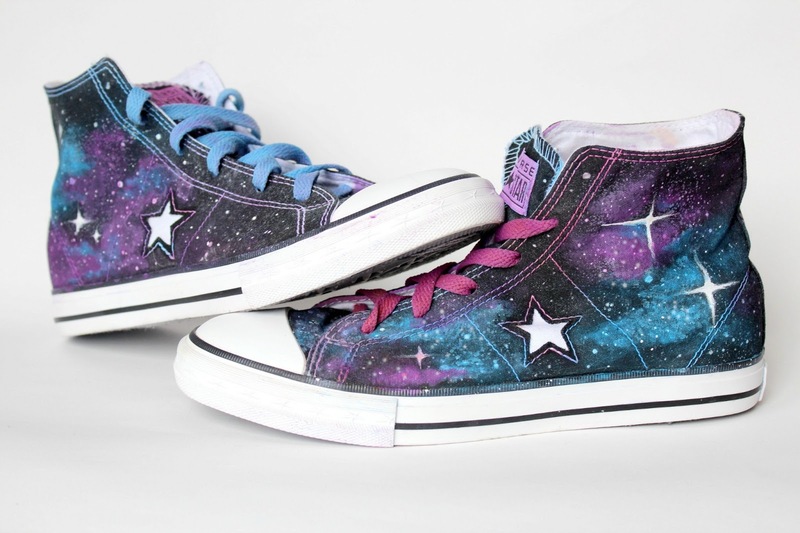 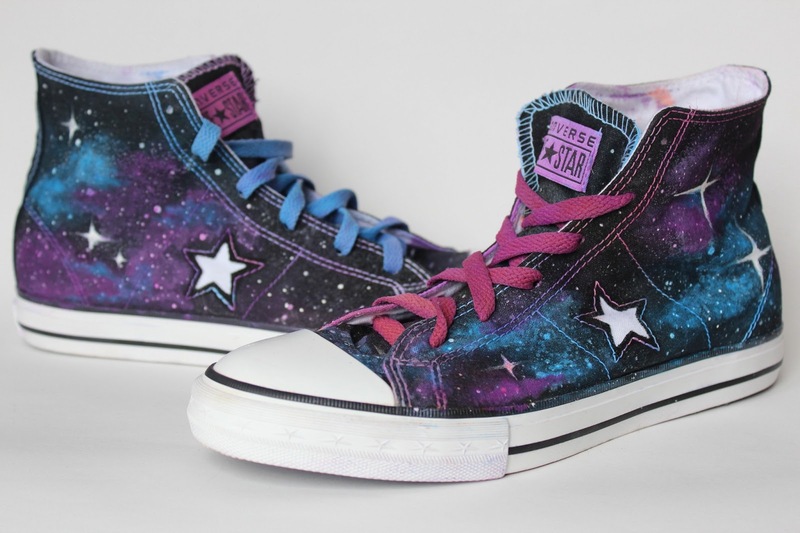 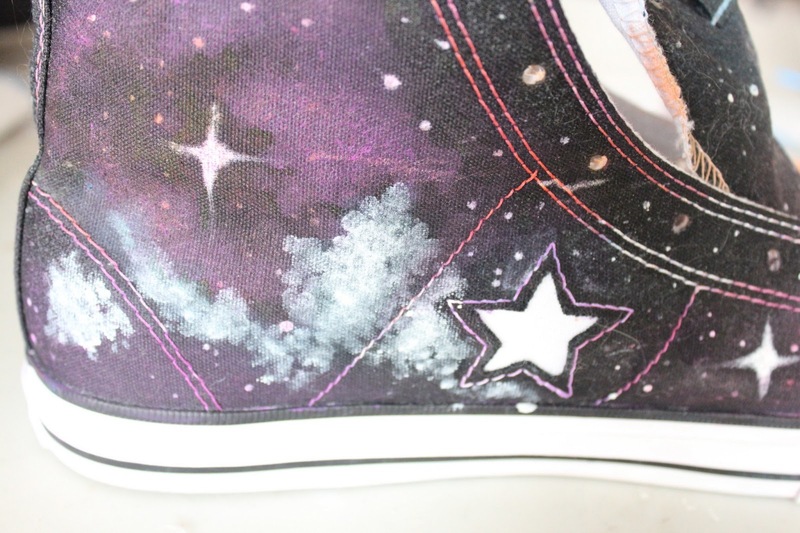 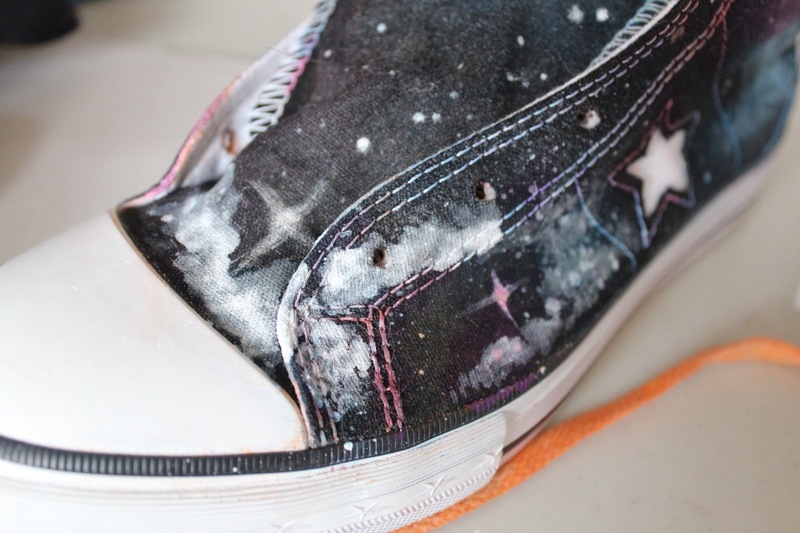 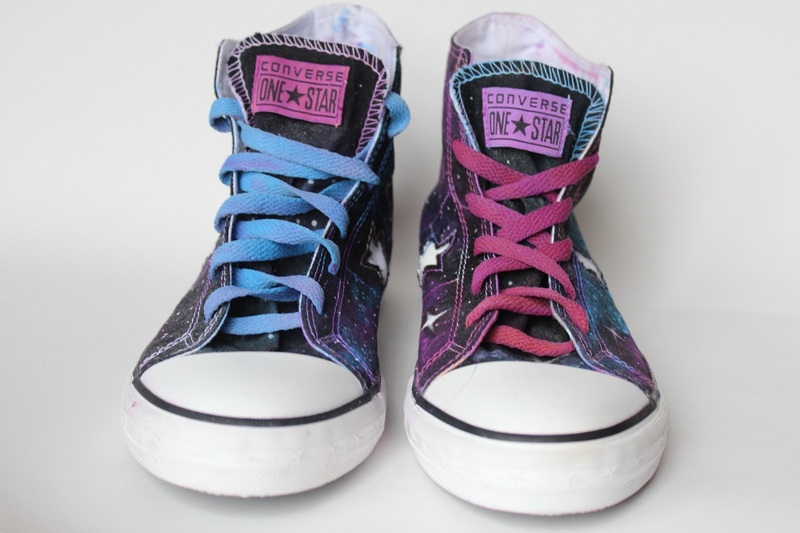 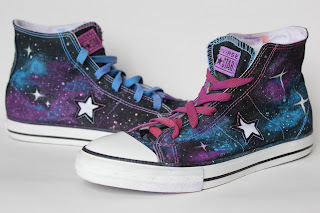 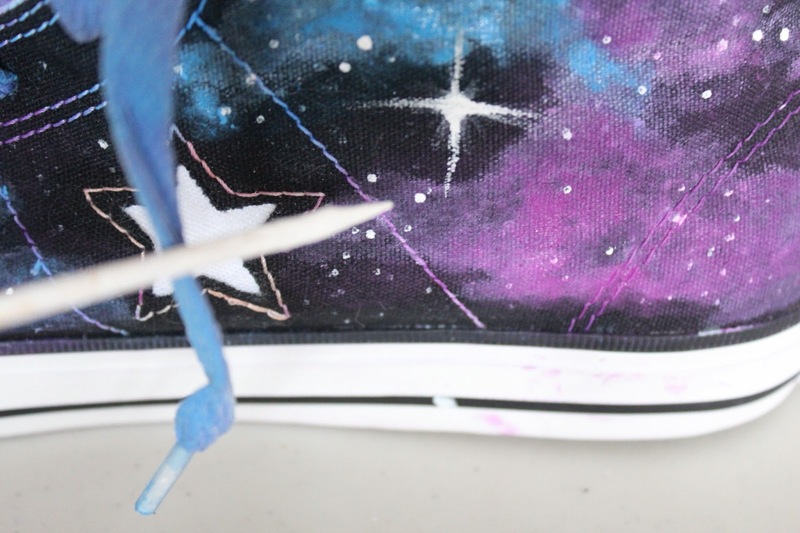 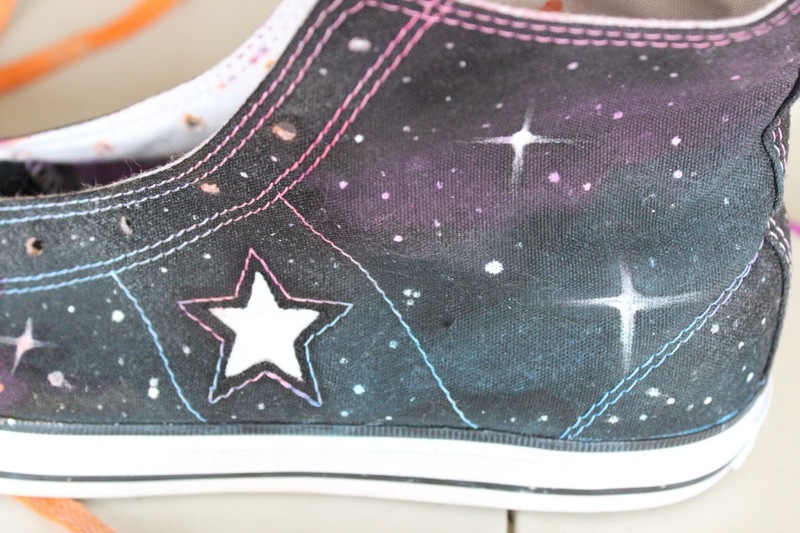 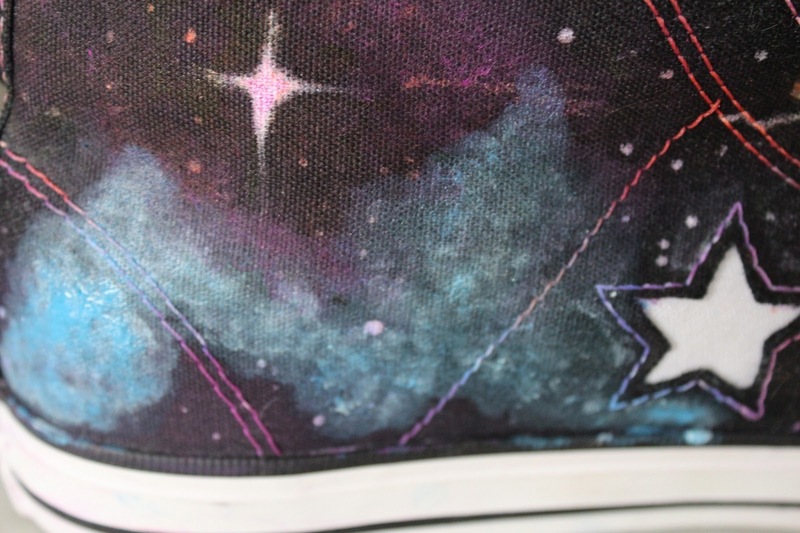 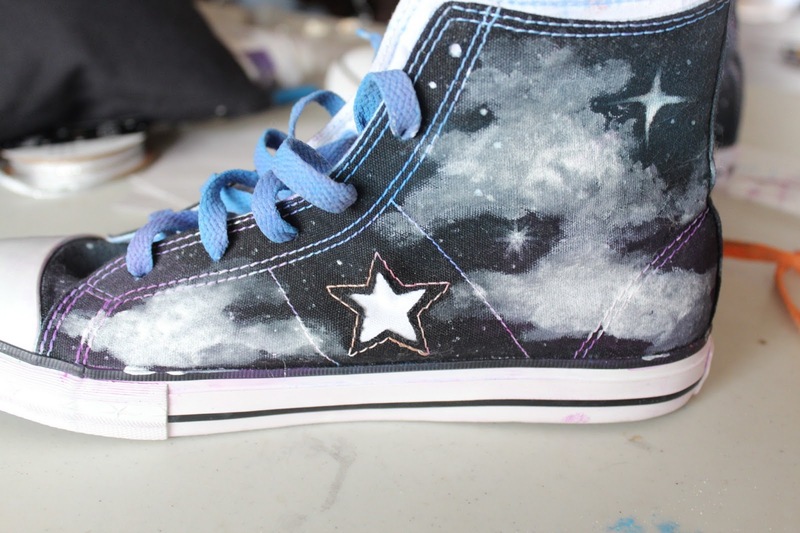 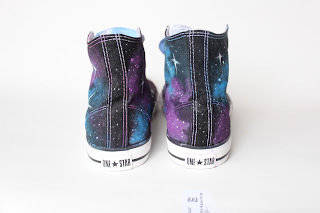 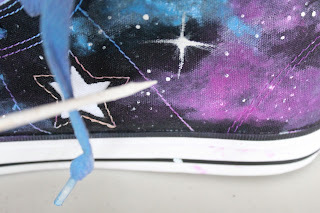 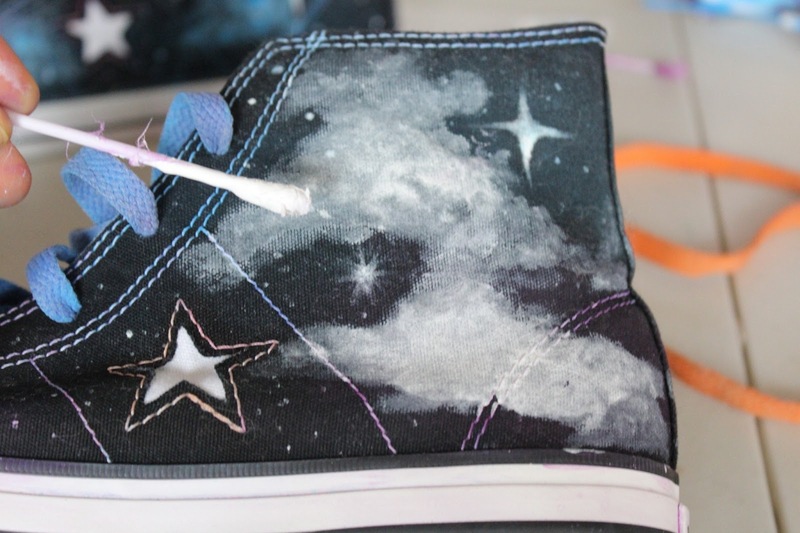 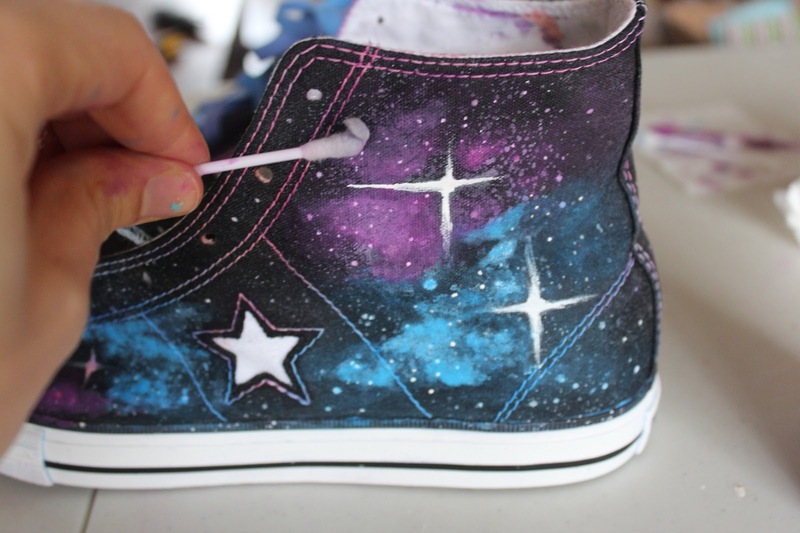 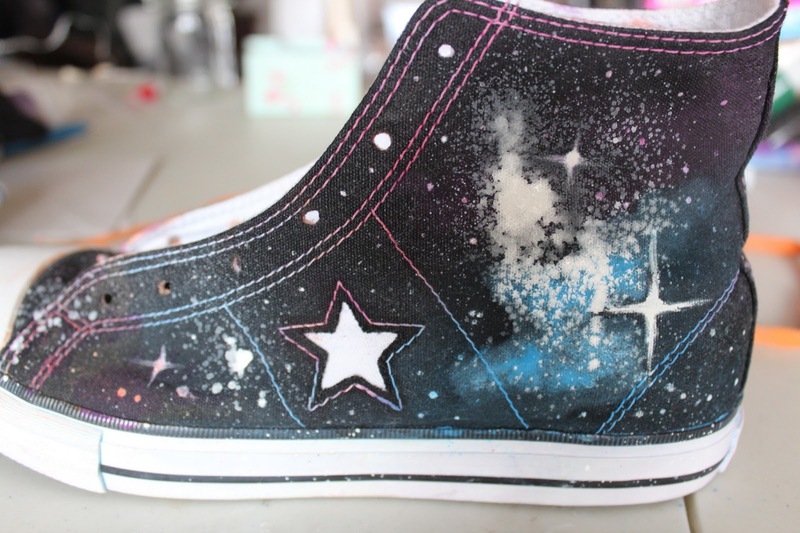 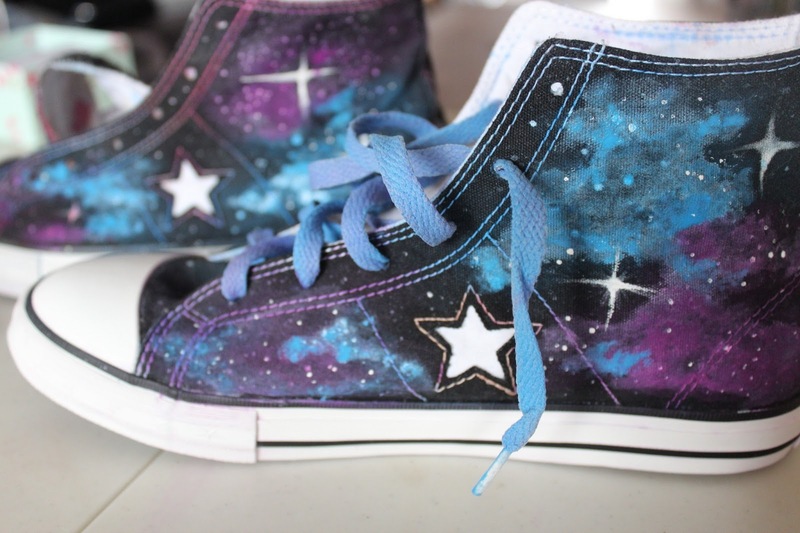 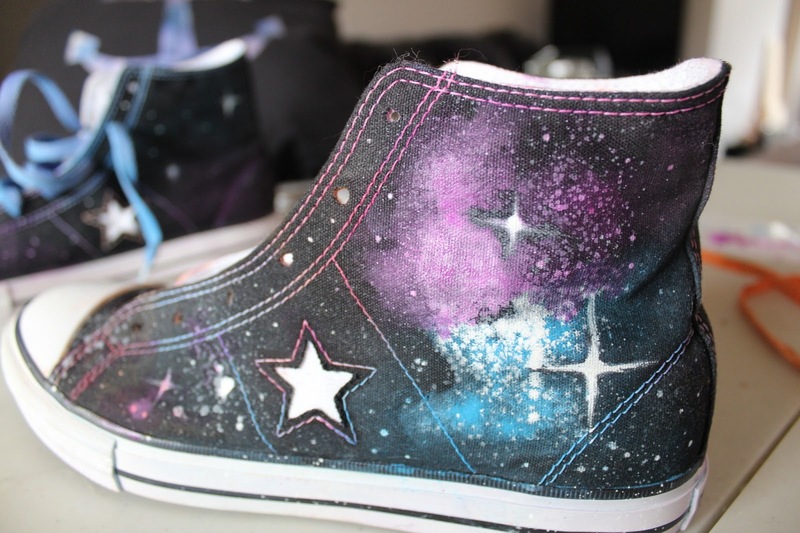 Theresa Joy : 365 Days of Pinterest Day 23 - DIY Galaxy Sneakers! 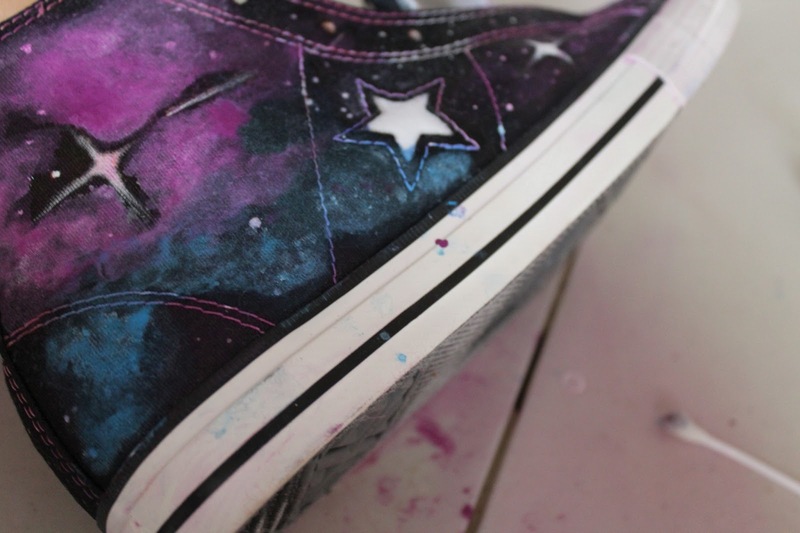 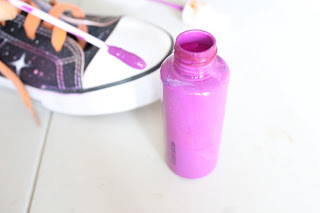 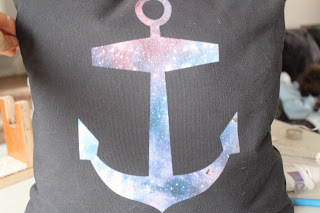 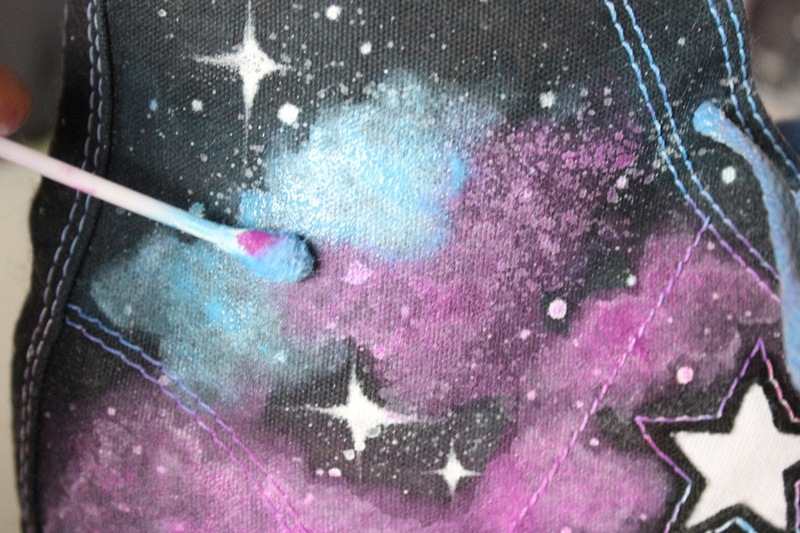 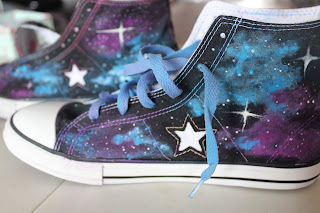 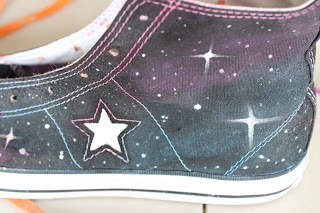 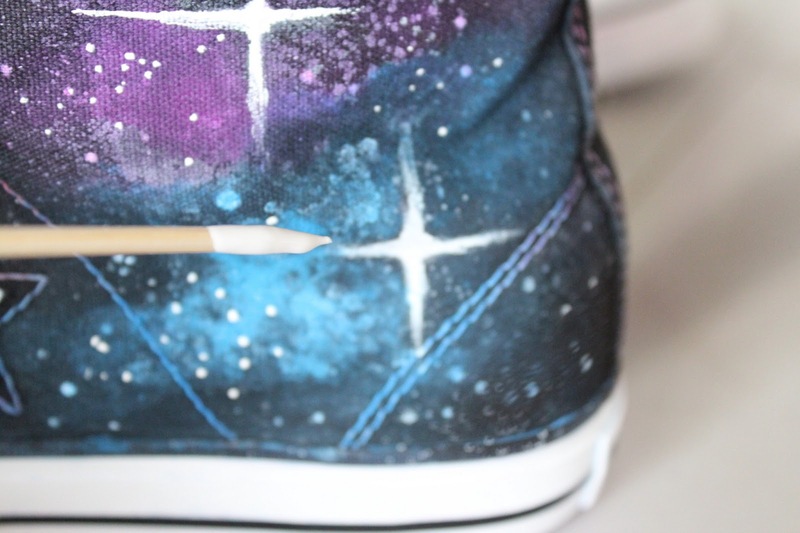 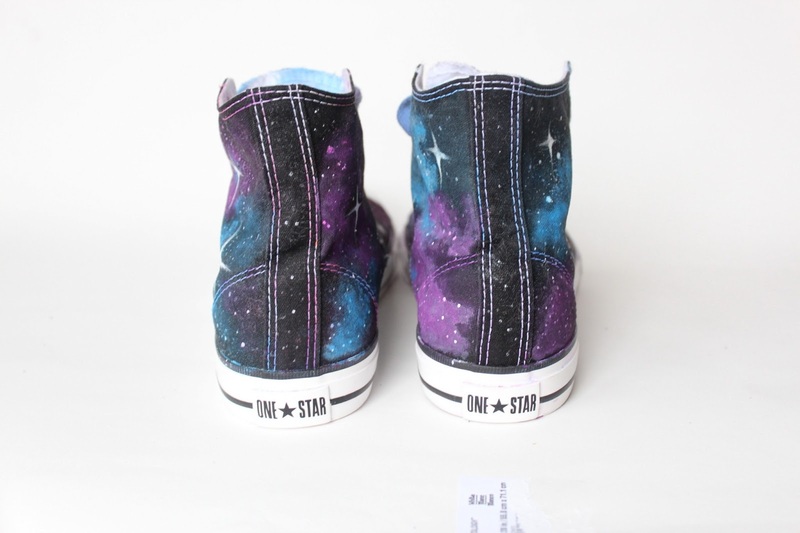 365 Days of Pinterest Day 23 - DIY Galaxy Sneakers! 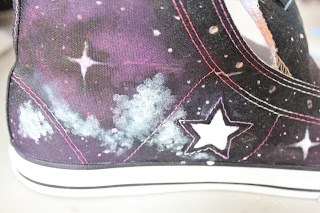 I did it, I did it, I really really did it!! well way back when my daughter asked for these "galaxy sneakers" as I soon discovered they were't something a large company was making, they were all hand painted, selling on sites like Etsy. 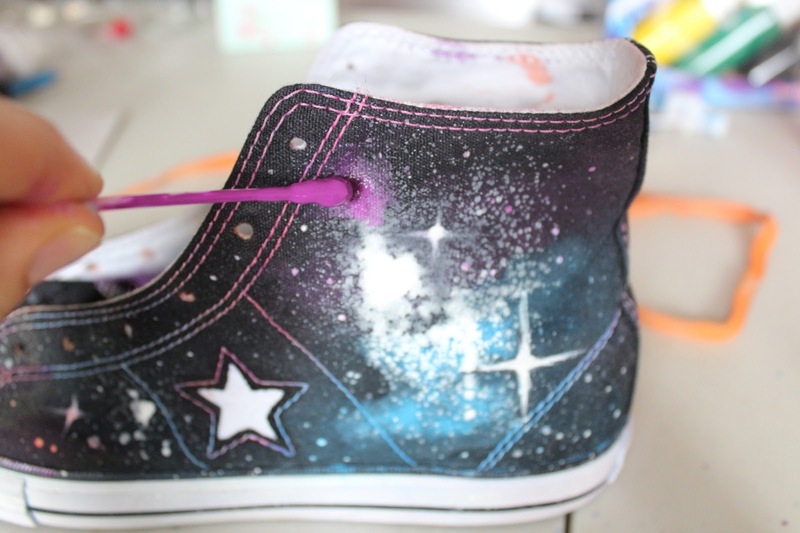 So I had a "I can do that moment" .. I loaded up on images from Pinterest and away I went. Day 23 of my 365 days of Pinterest (testing Pinterest pins) - DIY Galaxy Sneakers! 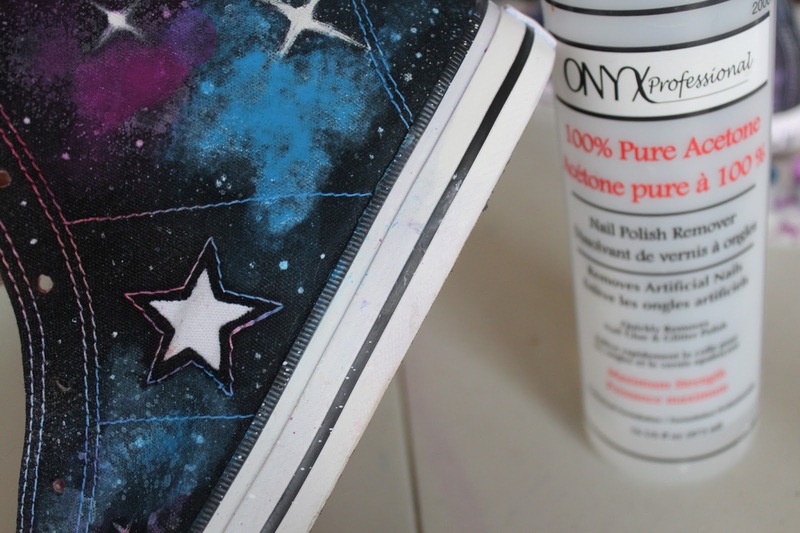 ~ sneakerzzzz ... most people prefer converse or Vans, the hipsters, but Iv seen everything from ballet flats to wedges .. this DIY is stricktly for canvase / sneaker material as the paint would react differnt to leather or pleather. for these I made a place a thick dot of paint in the center then 'scratched' it out to the side with the toothpick. 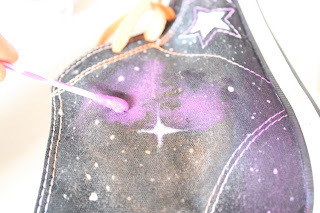 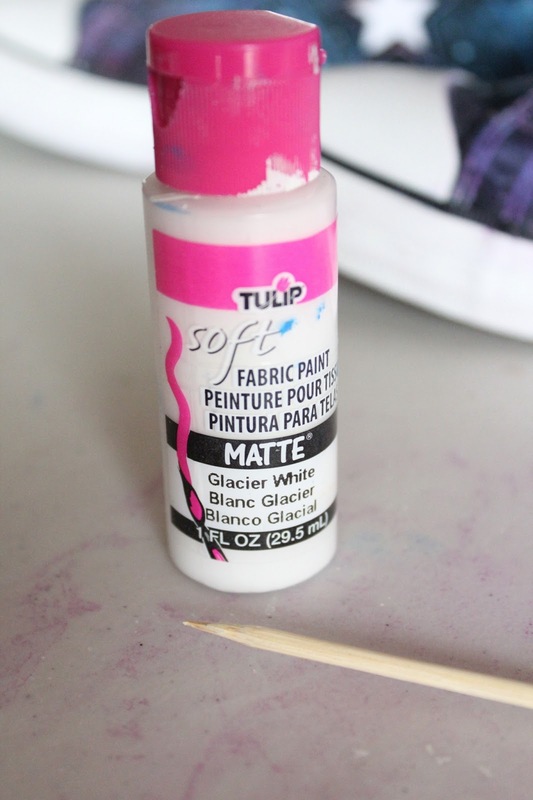 The tulip fabric spray paint will fade, be absorbed by the shoe as it dries.. this will allow you to layer. 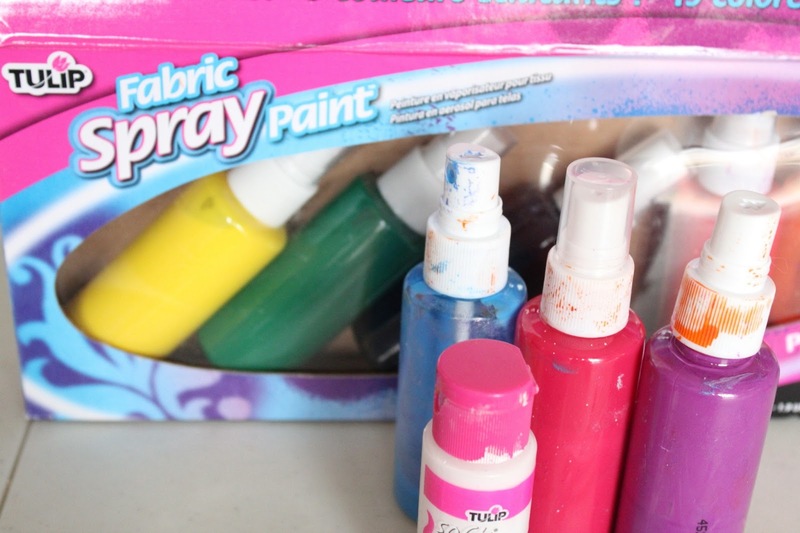 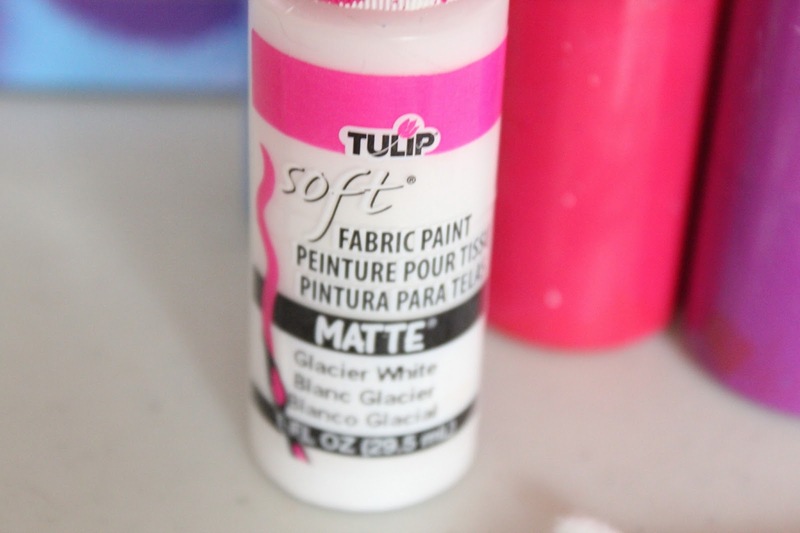 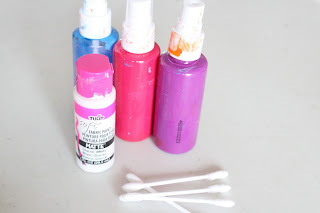 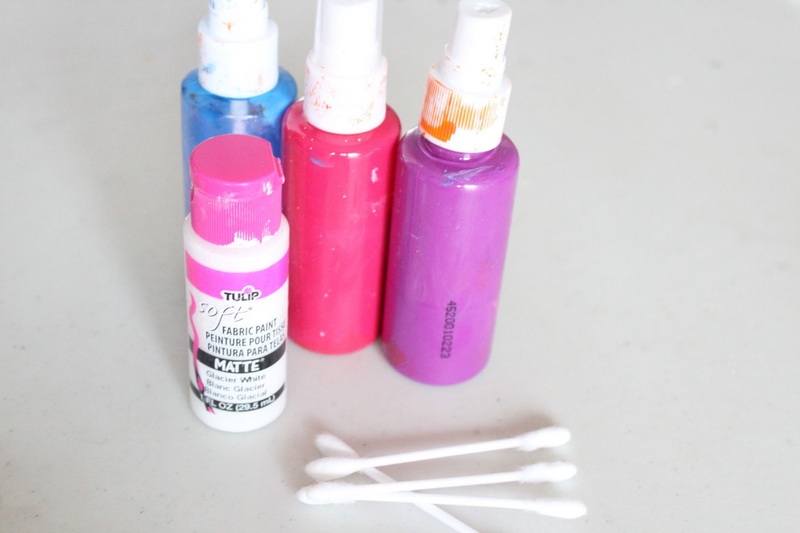 Now take your Q tip and your Matte Fabric paint and make little "clouds" this will be a base for your colored spray paint .. if you put the spray paint directly on the fabric it will disappear as it dries. 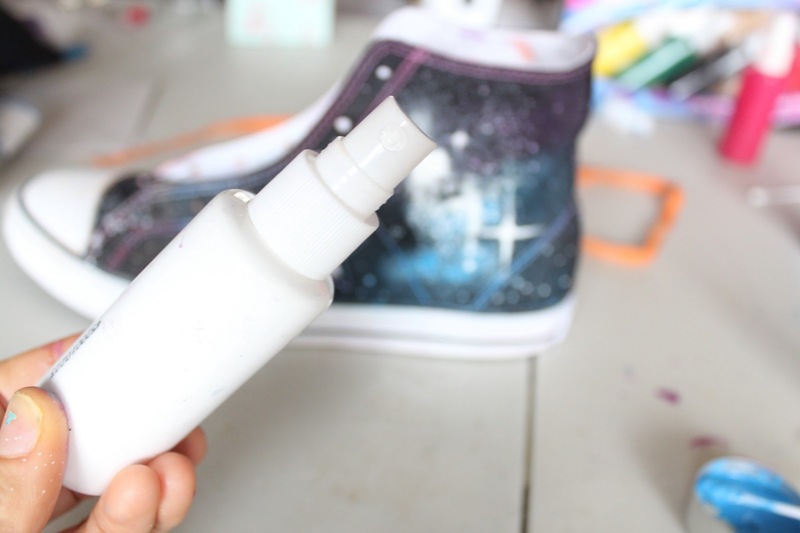 The nail polish remover should also be used to remove the paint from the rubber sole. 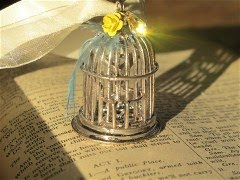 This is a wabi sabi thing .. keep workin at it till you get the desired effect ... 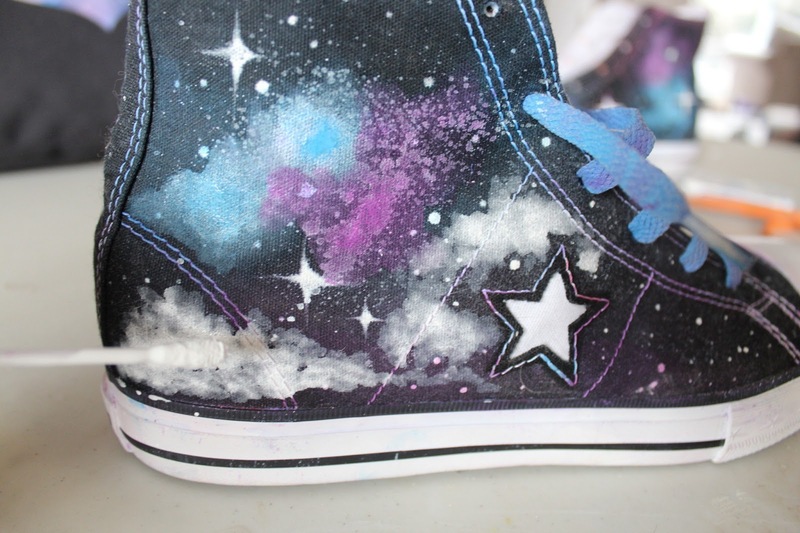 I originally did this .. a subtle version ..this was achieved by using less Matte White base ..
Time consume, yes ....but the look on your daughter's face putting them on ... priceless! 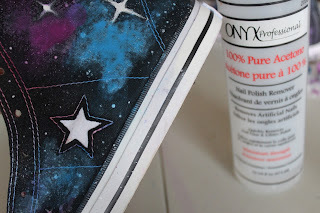 Your - 365 Days of Pinterest - is very inspiring!